BELLVILLE — The Lady Colts on pumping out offense on area softball diamonds, and they keep on winning. 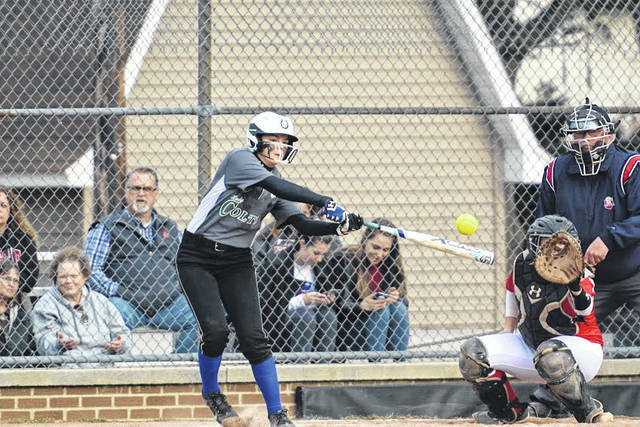 On Monday night, Clear Fork’s softball team upped its record to 5-0 on the young season with an 8-6 win over West Holmes. The Colts scattered 13 base hits. And they needed all of them tin order to overcome the team’s six fielding errors. Ashtynn Roberts led her team at the plate, with two singles, a triple and three RBIs. Carson Crowner and Courtey Palmer each had two singles and each knocked in two runs, and Hallie Gottfried and two singles and one RBI. Kaitlyn Wuertz, and had two hits, a single and a triple, while Brooke Robinson, Maddy Wine chipped in singles. Once again, Roberts and Wine split time on the mound. Roberts went 1⅓ innings. Wine threw the rest of the game and picked up her fourth win of the season. The Lady Colts were at Buckeye Valley on Tuesday and the Lady Barons came to Bellville to play Wednesday. They were scheduled to play at Danvlle on Thursday. 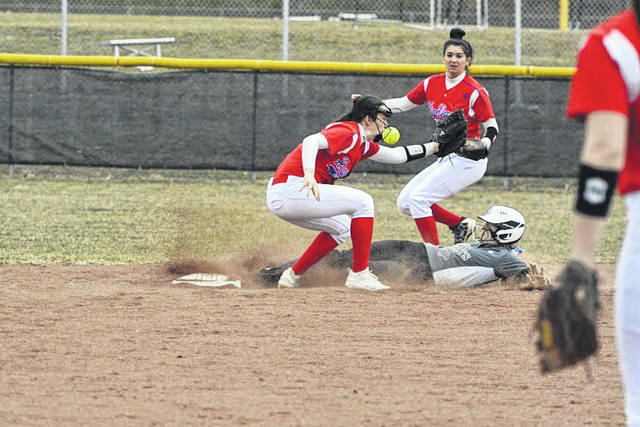 BELLVILLE — Brooke Robinson had the hot bad for Clear Fork’s softball team Thursday. Robinson hit two singles and had a home runwith four RBIs in the Lady Colts’ 13-3 win vs. Highland. Ashytnn Robers had a single and home run and Kaitlin Wuertz had a home run. Carson Crowned chipped in two singles and Courtney Palmer, Haylie Miller, Maddy Wine and Felicity Miller contributed hits. Palmer’s hit was a double. 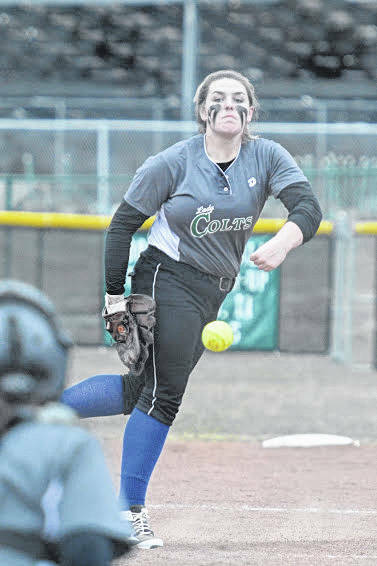 Wine went the distance on the mound for Clear Fork. She allowed just seven hits. SHELBY — The Colts scattered 19 hits last Wednesday in a 16-4 win over Shelby. They scored in each inning, including five in the second to put the game and four in the ninth. Kaitlin Wuertz led the hit parade with five singles and knocked in one run. Maddy Wine chipped in four singles and four RBIs, Carson Crowner had four RBIs thanks to her two doubles. Courtney Palmer had three hits, including a double and Hallie Gottfried slapped two doubles. Haylie Miller, Brooke Robinson and Feclity Murphy had the othe base hits. Ashtynn Robers went five innings to pick up the pitching win. BELLVILLE — Before the rains came last week, Colts upped their baseball record to 3-0 overall and 2-0 in the Mid-Ohio Athletic Conference. They are the league leaders thanks to 10-9 and 6-4 wins over Shelby on back-to-back nights. This week, the Colts were at Buckeye Valley on Tuesday and the Barons were in Bellville on Wednesday.